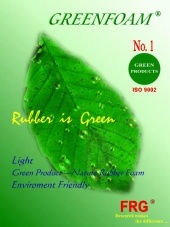 Rubber Products - Rubber is green. 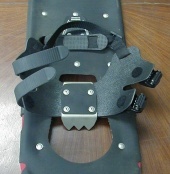 Shoes face and other Reinforce parts. 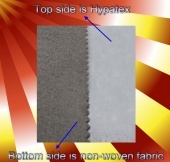 CSM /Nylon 840D*840D/CSM, DC; Size: 1.2mmx60"
CSM /Nylon 840D*420D/CSM, DC; Size: 3.0mmx60"
Properties: HYPATEX® uses CSM based material. 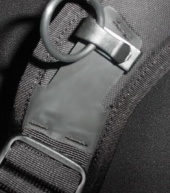 Low temperature resistance and Part oil resistance & flame retardant. Part oil resistance & flame retardant. 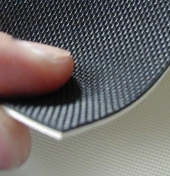 CSM single coated non-woven fabric, rubber face emboss. Size: 1.50 mm x 54"
on rubber face like PVC. and Provides good abrasion resistance. NBR part provides good oil resistance. Properties: EPDM Boat provides good Weather resistance, chemical resistance, and some oil resistance & flame retardant. 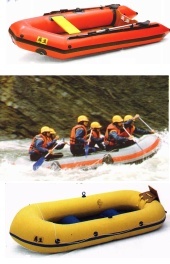 Usage: Big Inflatable Boats bottom. Oil resistance & flame retardant. 0.60mmx60". 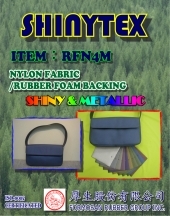 T5J Twill fabric emboss. surface and like fabric surface. 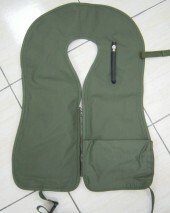 Usage: Lift raft bottom and side. Properties: The products provide superior weather ability and waterproof. Usage: General usages like fishing, shopping and so on. The products provide superior weather ability and waterproof. 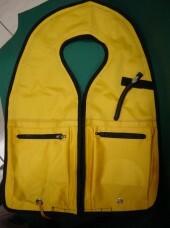 Spec: Natural Rubber/Nylon 70D, 400D, 420D, SC; 0.25mm/0.60mmx58"Color: Original. Properties: CR boat provides good Weather resistance, chemical resistance, and Part oil resistance & flame retardant. Usage: for rubber life saved suits. materials. Good chemical resistance and Weather resistance. CR Adhesive solvent has to add additional cross-link agent. 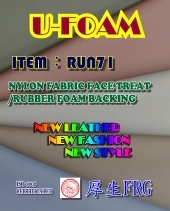 Usage: for inflatable rafts to repairing tears, holes, seam separations.